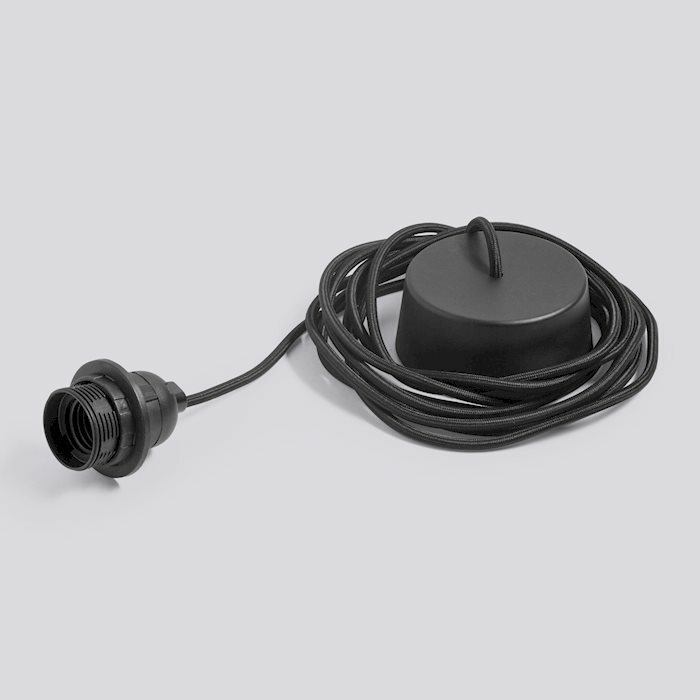 A versatile ceiling mounted Cord Set that allows for multiple cable configurations. The ceiling mount is round, made from ABS plastic and contains a magnet for easy fitting. The fabric cable can be adjusted in length to suit the environment. The design is compatible with all HAY shades.